As the adaption of hydraulics for field robots increases, small, lightweight power units are becoming essential technology. A module that is small and easy to use, yet with sufficient fluid rate, is leading the way in the realization of mobile hydraulic robots. The general problem with HPUs is that they constantly supply more than the necessary fluid rate, which causes a loss of energy efficiency. This constant lost energy produces heat, so in order to maintain proper temperature, larger cooling systems are needed. It also causes the robot to be heavier overall, and to require more battery capacity. 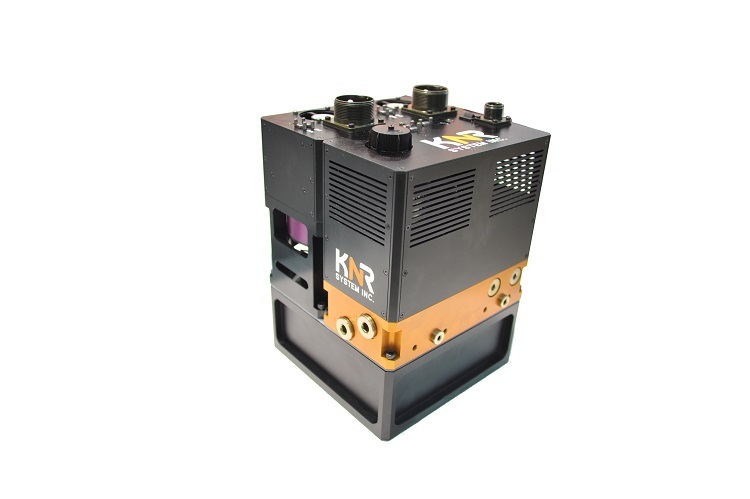 In order to deal with these problems, we at KNR developed a mobile power unit that supplies optimum flow to each joint at the moment the joint moves, eliminating the loss of energy and extending battery life.